RESPECT. Interview: Phonte Coleman Talks Executive Producing Hype Online Series + New Music On The Way | RESPECT. Most of you hip-hop heads know Phonte Coleman as member of legendary group, The Little Brother. 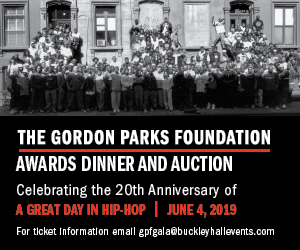 Consisting with 2 of hip-hops biggest names, 9th Wonder and Big Pooh. Also a known member of the Foreign Exchange. These days the legend is keeping busy working on new projects, collaborations, on-screen, doing cartoon voice-overs + executive producing the new hype online series based out of Durham NC. The series features writer/director Holland Gallagher and director of photography Bruce F. Cole and centers around a young man, Smiles, who is trying to buy back the house of his adolescent love. When a tech entrepreneur presents him with an opportunity to expedite the process, he agrees, getting mixed into the independent rap and startup worlds of Durham, NC. The five twenty minute episodes of season one were fund-raised on Kickstarter and shot on location in Durham featuring an ensemble NC cast and crew. Phonte and Holland met in the Uber line at LAX and have since then became business partners for the hype online series. Coleman says he was invited to check out the series premiere at Carolina theaters. He was blown away by the series and asked if he could help with anything, since then he has signed on as the hype series executive producer. The city of North Carolina is behind the first season of the new music scene series and season two will be even more exciting. 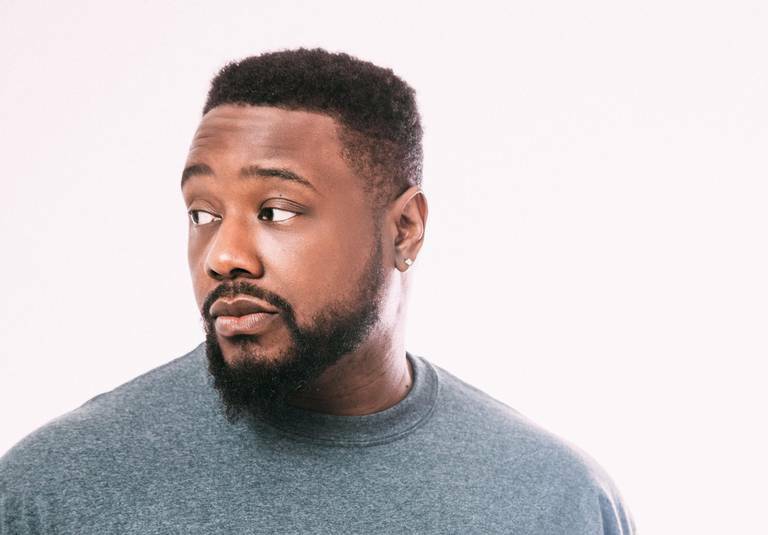 We got a chance to speak with Phonte about working on the new series, new music on the way, Durham’s music scene at the moment and much more. Get into our interview below. RESPECT. : How did you and Holland meet? Phonte: Whats crazy is me and Holland we met in the uber line at LAX. I was flying out to LA I was working on the Questlove Supreme podcast that I do with Questlove for Pandora. We were taping out there and Holland was out there working on some TV stuff, some projects. He just saw me in line and was like “Yo, are you Phonte” and I was like yeah wassup. We just started talking and he’s like I’m from North Carolina. We just started talking from there. So he told me about this series he was doing which is Hype and I was like ok cool, aight. I didn’t really think much about it. So later he hit me and he was like I’m having this release party for Hype. I want you to come through. So I said okay man send me the invite and I still knew nothing about it. I didn’t know what it was about so I just showed up to the premiere. The line was like out the door. It was packed. So I sat and I watched the whole film and I just loved it. It was super dope. I just really admired his field of tenacity and the dedication to get it done and the fact that he did it. So after, we just talked and I was like “How did you do this” and he was like I shot it with this much money, I worked the script and we just kind of shot it guerilla-style. I was like “F*** Yeah” that’s what I’m talking about. (laughs) So from that point on I agreed to come on as executive producer and I was like, look man if there’s anything I can do to help develop the next season and secure funding and all of that let me know. So from there me and him just been working together. Coming from NC & the series being based out of NC how do you see the NC music scene at the moment? At this very moment I think it’s very diverse. It’s just all kinds of music here. North Carolina just has all different kind of genres outside of hip-hop. There’s r&b, jazz, bluegrass, country all of that. You just find musicians of all kind in North Carolina. I think that for me being a native I think that has really helped me and helped expand my musical talents in ways that probably would’ve never happened if I lived anywhere else. Are you happy with the finished product of the series? Yes, I’m very happy. Happy with the way everything is going and I’m really looking forward to next season. We already starting to map out story ideas. I just feel like this first season is just kinda putting everybody on notice but with Season 2, we gone f****** come with it. So I’m excited. What was the best part about working with Holland and the hypecrew? Well the thing with Holland me and him have similar ideas and stories. We both have a sense of what we want hype to look like and how we want to portray the city. There’s just alot of things with him that I don’t have to explain alot. He doesn’t have to explain alot to me. We just be on the same wave. It’s rare that you find people like that, where you can kinda communicate with, without speaking. Could we possibly see a Little brother reunion happen? Yes. I got alot of stuff I’m working on. Just records I’m doing and stuff. I have alot of music, I got stuff coming. Just different collabs I’ve done. I got some work on the TV side, I’m apart of the show on ISC it’s like a step comedy show, another show coming to comedy central in April called the ‘New Migros” in April and open mic eagle is on that. Did a couple sketches on that. I’m doing voice-over work in commercials cartoons and things like that so I’m always working. You always gone hear me. You might not know it’s me but it’s me. I don’t know if I can single it down to 1 album. But, my favorite rappers at the moment are Billy The Butcher, Westside Gunn & Conway out of Buffalo. That’s the rap s*** that I’m on right now. Not too much rap s*** that I f*** with in my life right now but them n***** ,that’s how I like my rap.